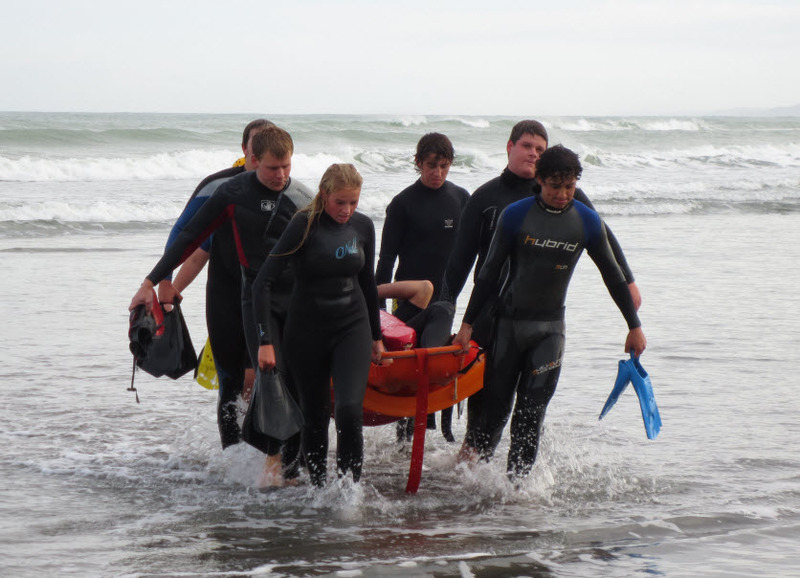 Surf Life Saving New Zealand has developed a specific curriculum for first aid training to ensure that surf lifeguards on patrol are trained and equipped to deal with potentially life threatening situations. There are three courses available at different stages in your lifeguard pathway towards this aim: First Aid Level One, First Aid Level Two and Pre-Hospital Emergency Care (PHEC). Within the club, a course will be arranged appropriate to the level of lifeguards requiring training. For example, freshly qualified lifeguards will have the opportunity to take part in the First Aid Level One course at some point in their first season. Lifeguards who have passed Level One last season are then qualified to sit the Level Two course. Level One is a prerequisite for Level Two, and Level Two a prerequisite for PHEC. It is a good idea to take advantage of whatever training opportunities become available to you, as many courses are not available until you have completed prerequisite awards. The more you complete, the greater the number of courses you are able to sit, and the more proficient and competent you are in your lifeguard duties.